You may (or may not) know that I had my French daughter, her husband and baby boy here for a visit. We’d not seen each other for more than ten years and it was a wonderful reunion. I am continually amazed by how you can reconnect with people with whom you’ve lost touch over the years and, if they’re also willing, can start over where you left off! Happy Boulette bathes in the kitchen sink! Bet you thought that I’d forgotten the free knitting pattern, didn’t you? Nope! Here it is! This is perhaps an ugly blanket because I had to use yarn that I had here and it was very last minute when I realized that a warm blanket was going to be needed – badly needed! Repeat these two rows (which are actually identical) until the blanket is the width that you want. How do you count rows when you’re knitting all rows (otherwise known as stockinette stitch)? Each “pair” of bumps, one looks like it arches up like the letter “u” and the other arches down, is a row. 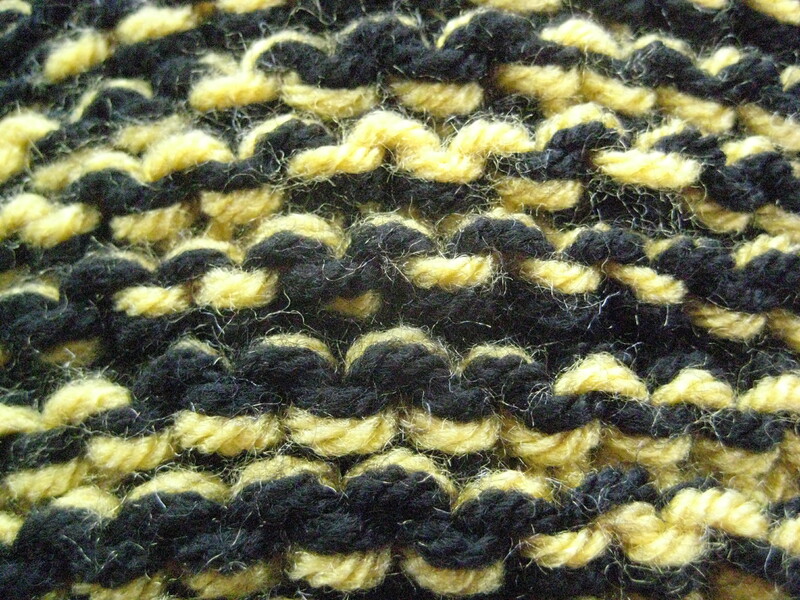 In this photo, there are five bump pairs which means that you’ve knitted ten rows … hunh? you say? Yes, you’ve knitted ten rows because there is a corresponding bump on the back of the fabric, too. For each row you see on one side of the fabric, there is a bump on the other side of the fabric when you knit “back”. See what I mean? 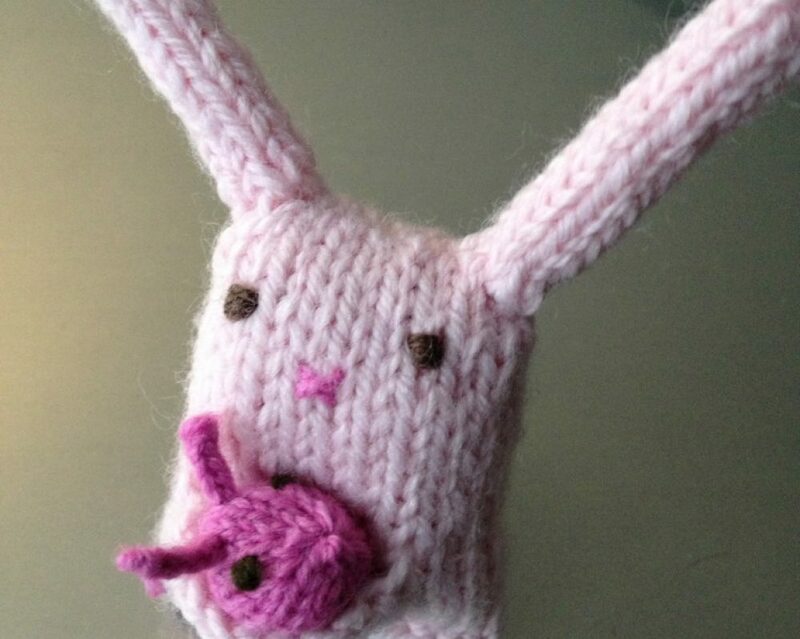 Try knitting a few rows. Yup, take out your needles and a single strand of yarn (the sample above is a double strand of yarn). Cast on about 20 stitches and knit across them. Then knit back again. Now … look at what you have. You’ve knitted two rows and there are two “pairs of bumps” one on the right side and one on the wrong side. If you don’t get it, comment on this post and I’ll illustrate further!